EMPOWER WOMEN. EDUCATE YOUTH. TOTE CHANGE. 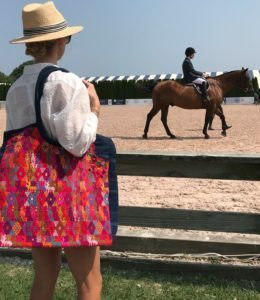 “Tote Change” this school year with a unique, handmade, artisan tote from Guatemala when you sign up for easy monthly giving with JustWorld. The stunning tote you’ll receive after making your donation not only symbolizes the fact that your donation is providing education to close to 400 school children in Guatemala – you are also empowering local Mayan women who crafted each unique pattern by allowing them to support their families and keep their rich, cultural traditions alive through their craftsmanship. THE CHALLENGE WE ARE FACING. Education lies at the core of JustWorld’s effort to guarantee impactful world change. 1.5 million Guatemalan children are consistently out of school. Schools lack proper training for teachers and are poorly funded, with inadequate book supplies, curriculum guides, literacy materials and exam prep guides. Only four out of 10 children graduate from primary school, one of the lowest completion rates in the Western hemisphere. High school graduation rates are less than 20%. For the past 10 years, JustWorld and its partner Los Patojos have been making a difference in the community of Jocotenango, Guatemala through education. Thanks to donor support, Los Patojos has grown to be a fully-accredited education program; including nutritious meals, a full time doctor, and arts programming, for hundreds of students in Pre-K through 9th Grade. Thank you for your support. JustWorld, and these children, rely on donations to sustain and develop these programs. Our goal is to raise $15,000 to ensure the success of our work in Guatemala – and beyond. Please consider donating today!